It's not everyday I can say I liked the bad guys in a book, not for being cool 'bad guys', but because they were portrayed so well in their villanous ways that, despite being evil and annoying, I was actually charmed to read about them. Even the brattiest character charmed me instead of making me want to slap them, because you could really tell it was the way the character's personality that was annoying, and not bad writing that made them so. There's little else I can say about the book. 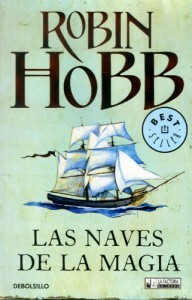 Like most of Hobb's work, I'm loving the story so far and look forward to reading the rest.